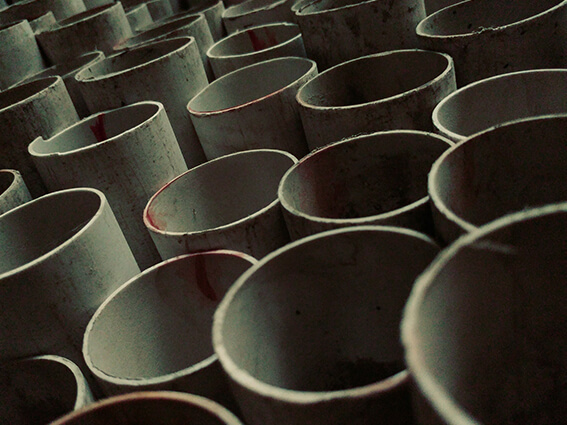 Production wastes, “end of life” frames and fittings in white PVC, and bulk uncrushed profile sections. 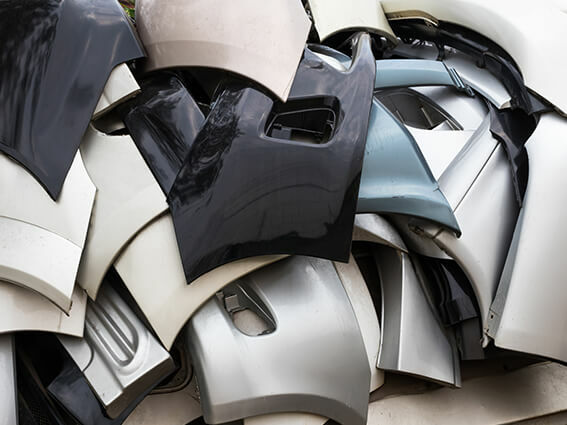 Various plastics, mixed in uncrushed form (components must be intact for the purposes of authentication), comprising PE and HDPE with metal fittings removed. 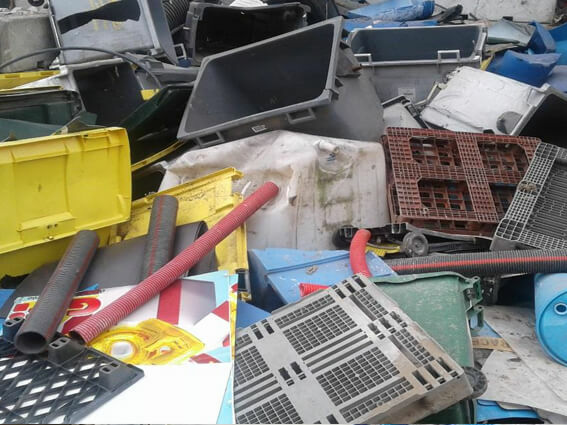 In general, this will include the following products: road barriers, waste bins, vats, ducting (conduits), pipes, pallets, crates, etc. Shock-absorbing PP plastics, in bulk or in bales, excluding foams, with no inserts, optical elements or registration plates. PE films of mixed colours (patterned), unsoiled, excluding agricultural tarpaulins and soiled worksite sheeting, in bulk or in bales. 100% clear (transparent) stretch wrapping or shrink wrapping PVC films, in bulk, rolls or bales. 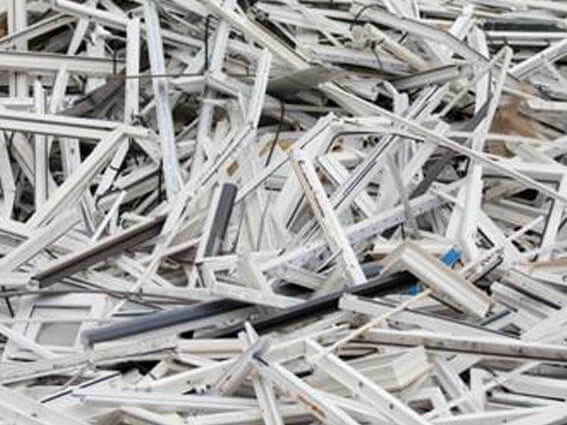 Excluding LDPE foam, and excluding bubble wrap plastics, with no printing and in unsoiled condition. Plastic ties (straps) packaged in transparent bags. 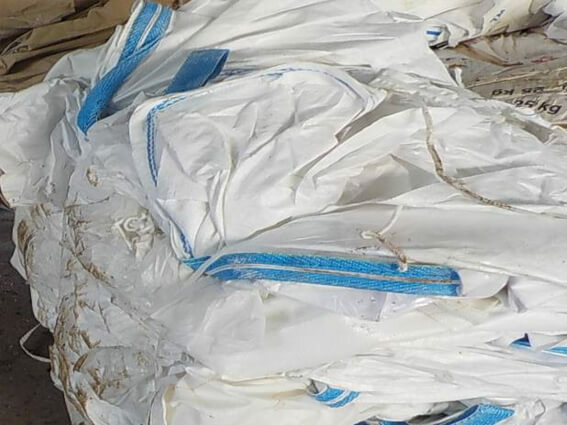 Empty and unsoiled white big bags (which have not been used to carry fermentable materials, powdered materials, organic wastes or hazardous wastes). 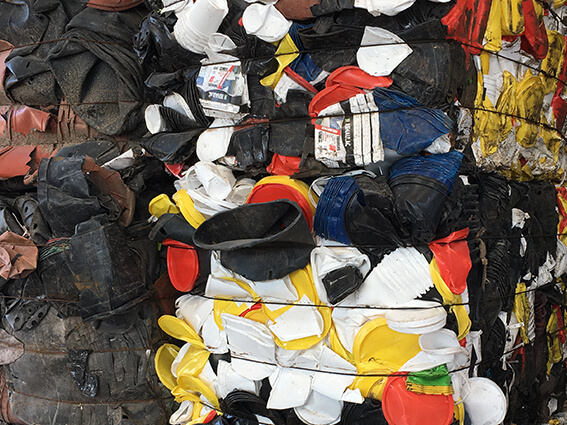 Plastics account fo 11% of wastes collected. 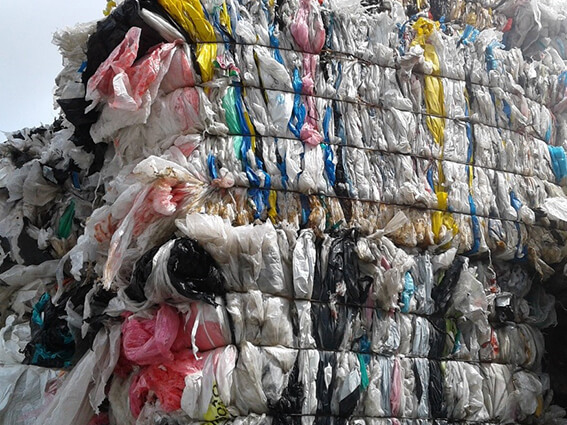 For every million tonnes of plastic packaging on the market, only 40% currently meets requirements for sorting, and 235,00 tonnes are actually recycled (source: ecoemballages.fr). 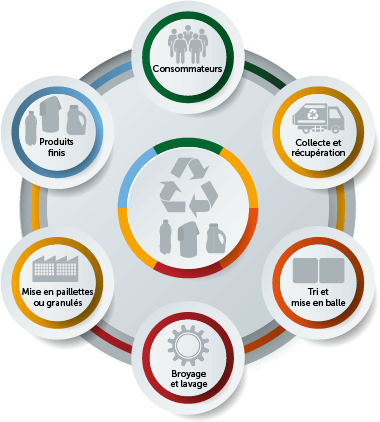 Moreover, the French government has set a target for the 100% use of recycled plastics by 2025. For the enviroment: in the natural world, plastic takes between 100 and 1,000 years to break down. fuel savings: 1 kg of plastic film = a 0.8 kg saving of crude oil. 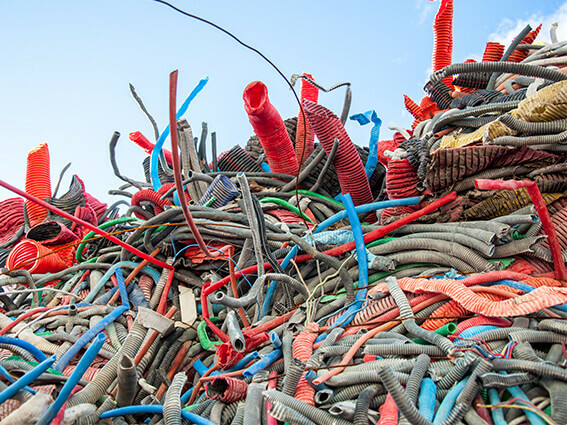 For energy production: 50% of production with recycled plastics = 5 million kWh of energy. For the manufacture of new objects: 1 bottle = 7 chip cards. 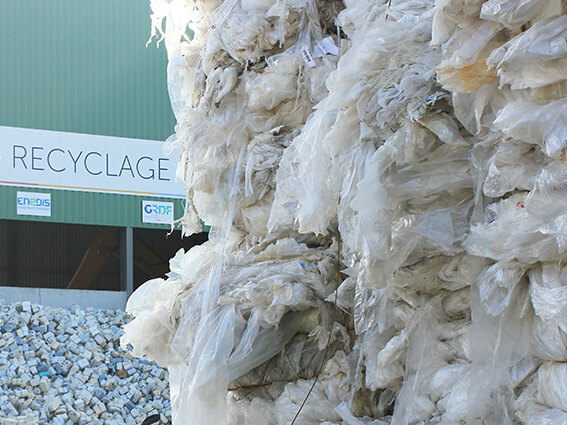 Industrial operators or plastics processors – if you are convinced that the use of natural resources should be limited, the Pena Group can supply bales of sorted plastics in accordance with your specifications.